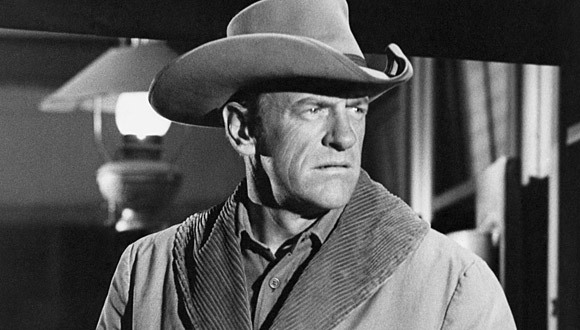 James Arness, the towering actor best known for portraying Marshal Matt Dillon, the strong and commanding symbol of frontier justice on the landmark TV western series “Gunsmoke,” died Friday. He was 88. Arness died of natural causes at his home in Brentwood, said family spokeswoman Ginny Fazer. “Gunsmoke” debuted Sept. 10, 1955, on CBS and, with the start of “The Life and Legend of Wyatt Earp” on ABC four days earlier, a new era in television horse operas was launched: the adult western. This entry was posted in Culture, Entertainment, Media, Nostalgia, People, Seniors and tagged Culture, Entertainment, James Arness, Marshal Dillon, Media, Nostalgia, Obituaries, People, Seniors on June 5, 2011 by Bill.